For several months, the tech giant Google has been working on the new version of its upcoming latest version of Android mobile operating system, which is nicknamed Android O or 8 only. However, its final name has always been a mystery, but as usual, the possible names were soon identified. But, recently, in a special presentation event, the tech giant Google finally revealed the name of its latest version of Android mobile operating system Android O. As we have always been told, this is now Android Oreo. 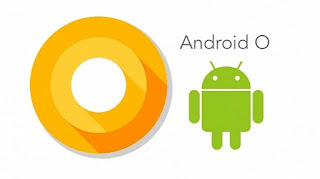 The tech giant Google naming policy for its mobile operating system is known to everyone, so there is nothing new category for its most used and popular mobile operating system Android. As we all know very well that the tech giant Google always keeps its most used and popular mobile operating system in the names of candy or goodies following, since Android version 1.5. The latest version was assigned the letter O, leaving little room for the tech giant Google. From the beginning the name Oreo began to be spoken and, as expected, came to be the chosen one. Android Oreo brings many new features along with it, from Picture-in-Picture, Notification dots, Autofill and Smart Text Selection. There are even hundreds of security enhancements and system optimizations. The tech giant Google has revealed that this new version will be released for its devices in the coming days via OTA update and also with the availability of installation images. At the same time, the tech giant Google will also release this version in AOSP, so everyone can use it and improve it, if necessary. It will also be given to partners to create their own customized versions for their respective mobile devices. However, Android Oreo is finally known, the latest version of the tech giant Google’s operating system. It was several months of development that now culminate in this new version. So, what do you think about this Android Oreo? Simply share your views and thoughts in the comment section below. Click here to visit the official page of the tech giant Google’s Android 8.0 Oreo. 1 Response to "Google Officially Confirms Android O As Android 8.0 Oreo"